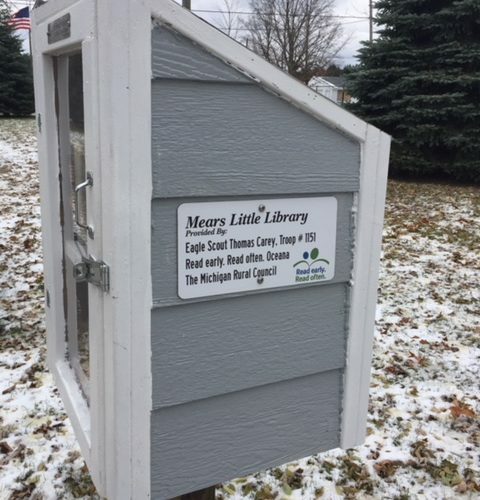 Have you seen one of the new Little Free Libraries popping up around Oceana County? Jumping into the early literacy effort is Eagle Scout Thomas Carey of Shelby Boy Scout Troop #1151. With the help of a local builder, Carey built and installed three Little Free Libraries. 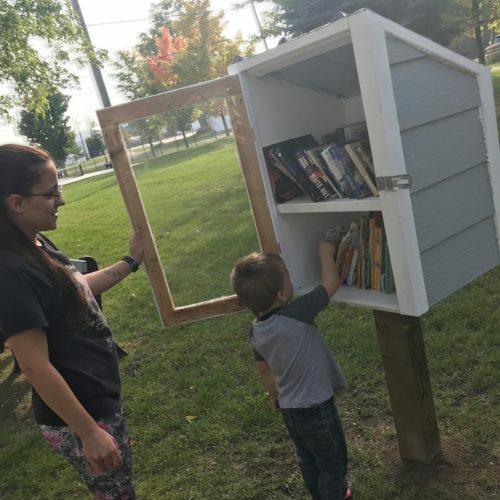 These stylish little libraries create a community book exchange program, where adults and children alike can take a book home, exchange a book or drop off their old books. Read early. Read often. (RERO) assisted with the project by successfully applying to the Michigan Rural Council grant program to fund library materials, signage and children’s books. 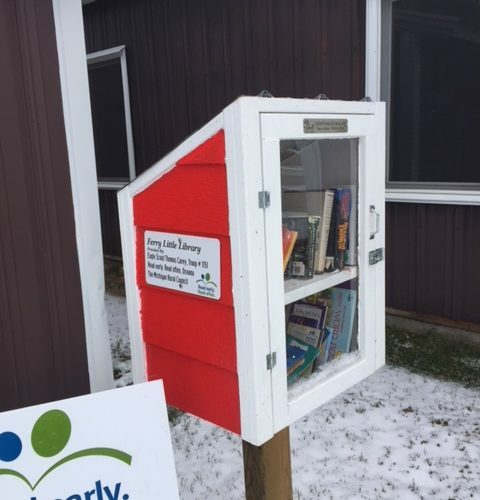 Placement of these libraries was carefully chosen to benefit communities in Oceana County who are the furthest from a local library or school, including Benona, Ferry and Golden Townships. In Benona, a lake blue little library can be found in front of Stony Lake Store & Café. A historic grey little library was placed in Johnson Square Park in downtown Mears and a barn red library was placed by the Ferry Community Center. Community partners are helping to keep the libraries stocked with new & used books for all ages. “Getting communities to rally behind early literacy is how we will get our youngest learners reading and succeeding,” stated RERO Coordinator, Danielle Siegel. The Boy Scouts of America, founded in 1910, awards its highest honors to those Scouts who exemplify leadership, stewardship, live by the principles of the Scout Oath and Law and those who have earned at least 21 merit badges. While only around 5% of Scouters receive the honorable Eagle Scout rank, among the likes of Gerald R. Ford and Neil Armstrong, Thomas Carey is among the elite. In addition to the requirements summarized above, those Scouts wishing to achieve Eagle rank must complete a community service project. Carey chose one that will impact the reading culture and habits of families in his home community. RERO continues to promote early literacy through advocacy and the distribution of free children’s books with the help of many partners including local food pantries, farmer’s markets and nonprofits. The Community Foundation for Oceana County provides leadership for the program, hosting Siegel as the Americorps VISTA member. Other community partners focused on early literacy include United Way’s Dolly Parton Imagination Library program, now up to 350 children receiving a free book in the mail each month. Great Start Collaborative is also focused on improving school readiness, including early literacy. Inquiries can be made to Ms. Siegel at 231.861.8335 or dsiegel@cffmc.org. 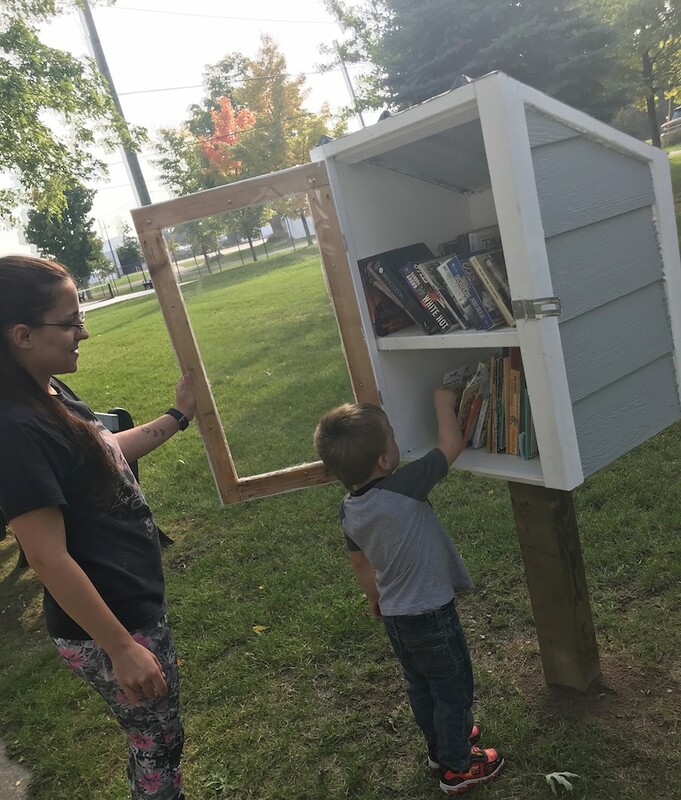 Book donations can be dropped off at any Oceana Library, the Community Foundation Office located at Shelby State Bank in Shelby, or dropped into any one of the three Little Free Libraries. More information on RERO can be found at www.oceana-foundation.org/community-impact/rero. If you would like to support this program, donations can be sent to the Community Foundation for Oceana County at P.O. Box 367, Shelby MI, 49455.